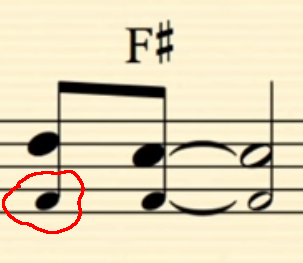 I like to change the note head for background voices, is this possible? A graphical example illustrating the notational variation you're referring to would be most helpful for determining whether this is a missing feature that we can address in following updates if not the immediate future. 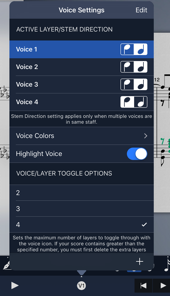 - Note sizes can't be changed for individual notes, but their colors certainly can. To apply a custom color from a palette, which is reflected in exported scores, the instructions are described here. - Colors for the active voice can also be customized under the Voice Settings menu (open by long pressing the icon) > Voice Colors. This preference only reflects one that is simply a guide for editing purposes, meaning it isn't relevant to exported PDFs. I totally forgot about this forum message. The notification for an answer seemed to got lost.